KAV provide a variety of expert reports along with expert witness services. This service is available to clients requiring an independent expert opinion as to their position. These reports are subject to the experts code of conduct. Acceptable within, yet not limited to, the NCAT and District Court. The service will vary pending the clients needs. Reporting may be as simple as constructing a letter, to a full report, inclusive of a Scotts' Schedule and pictorial evidence. KAV accept enquiries, void of any fee and/or obligation to assist in evaluating the matter at hand and will determine if the matter is worthy of proceeding or not. Fees vary pending the extent of work. 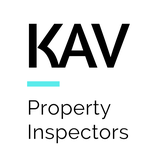 To assist, KAV normally recommend a site inspection take place. The fee for this inspection would be provided during preliminary discussions as noted. This fee would cover the site inspection and evaluation of the claim. There remains no obligation as to any further work. If further work is to take place, fees would be evaluated where possible.